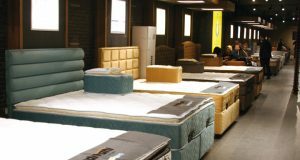 Anasayfa / Mattresses / How to choose the right mattress? Your mattress determines the quality of your sleep and life. For this reason you should not do this by chance. The importance of your mattress where you spend one third of your life is very big. 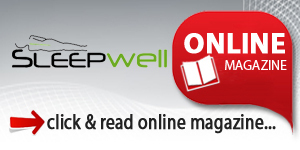 It is your most natural right to enjoy a good sleep after a tiring day and get up rejuvenated with a healthy sleep. Getting a good night’s sleep depends on a lot of different factors — comfort, stress level, room temperature – but to get it right, you’ve got to start with the basics and your mattress is the first building block to a restful slumber. 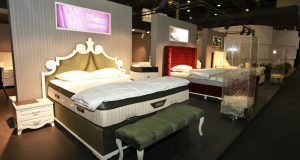 Çağrı Öztürk, Brand Manager of Lova Yatak offers following hints for buying the right mattress. The physiological and psychological needs of each age from babyhood up to adult times are different. Muscle and bone densities, flexibility of spine, circulation system… Your age is the first step when choosing your mattress. How much do you weigh and what is your body type? Some people are tall, some short and some others are medium. Support from a mattress is directly related to your body weight. The heavier you are, the more the support foams have to work to provide optimal comfort. Weight effects how much support you will receive from your mattress based on total sinkage and pressure points. Your mattress should be minimum 10 cm longer than your body. You could be short and you could be wide shouldered. Your hips could be thin but your upper part could be thick. You could be petite but also a little bellied or long but very skinny. Or you could have an ideal body shape. Your mattress should be as if it was exactly produced for your body to support the best. Male and female physiologies are more complicated than they are known. 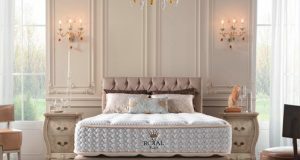 Body mass index, muscle-fat-water ratios, different support requirements at different zones are the criteria in choosing the most ideal mattress. What positions do you sleep in? Choose a mattress with a firmness that matches your needs. Side sleepers go with 3-6 out of 10. Back go with 4-7 out of 10. Stomach go with 5-7 out of 10. There will of course be outliers in each of these, but uses these as general guidelines to get started. Foam and latex are both inherently antimicrobial and resistant to dust mites and mold. If you opt for innerspring or air topped with fiberfill, be sure to encase it in an allergen-resistant cover to keep irritants at bay. Every metabolism works different. Some people never get cold even if snows on their body while some others chill at a little wind. Eating and drinking preferences, dress during sleep, etc. have an effect on body temperature during asleep and they may pave the way to extreme perspiration or drying of the skin. Ideal humidity and heat control are the inevitable conditions of your new mattress.